I've joined the write campaign set up again by Rach Harrie! I've joined the Romance/Sweet/Contemporary/historical group, and the Romantic Suspense group. I look forward to visiting your blogs, adding you to my blog roll so i'm kept up to date with you all, and perhaps one day sharing some writing and helping with criticing (if that's what you'd like!). Hi Kerrin! I'm a campaigner too and in some of the genres you are in, not sure of the groups without checking. Hope to get to know you better. Hey Kerrin from a first-time romance campaigner. Great to meet you! Hi. We're in the same romance group. Just thought I'd say hello, and I hope to get to know you more, through your writing and on your journey to publication. Hey, the gangs all here! Well almost. Fellow campaigner here. 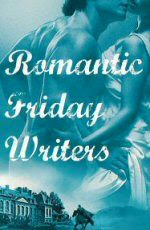 Just from the few posts I've read it looks like we have a great group of writers in the romance genre. Can't wait to see what happens! This is my first time doing this campaign. Nice to meet you Kerrin. I'm in your same group on the campaign. Just thought I'd say hi. Another campaigner saying hi. :-) I'm in some of the same genre groups as you. Hi Kerrin! Thanks for stopping by today. Now, I've found my way to your page, too. I'm guessing we're in the same romance group, although I can't seem to keep my groups straight. I really enjoyed your author info on your blogger profile. Romance, spice, alpha-males, and strong female characters ....just my cup of tea. Add in a bit of inspiration with the edge, and it's my perfect combo...edgy/inspy romance. Ohh la la. New Zealand? What part? Country or city setting? My husband, who is an RN, received some information about nursing opportunities in your country. Interesting to say the least.